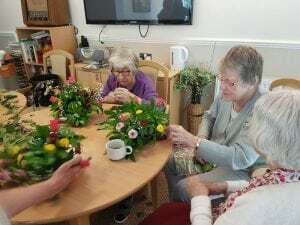 We had a creative time with Jo, prior to Gardening Club, by making felt poppies and flower cut-outs. 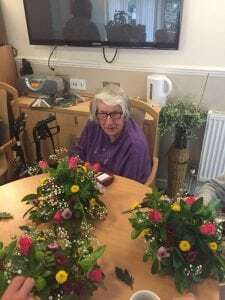 When Caroline arrived, we did some flower arranging in oasis, using greenery from our garden, using roses, chrysanthemums and gypsophila. 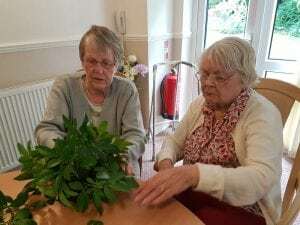 We worked in pairs and enjoyed chatting together whilst we worked. 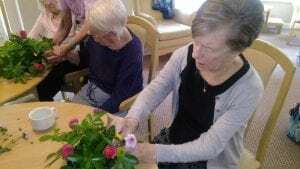 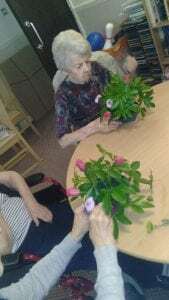 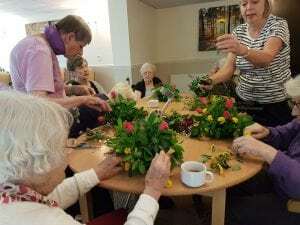 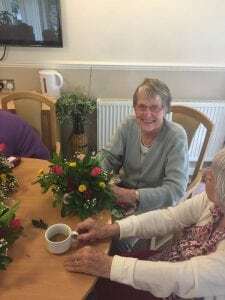 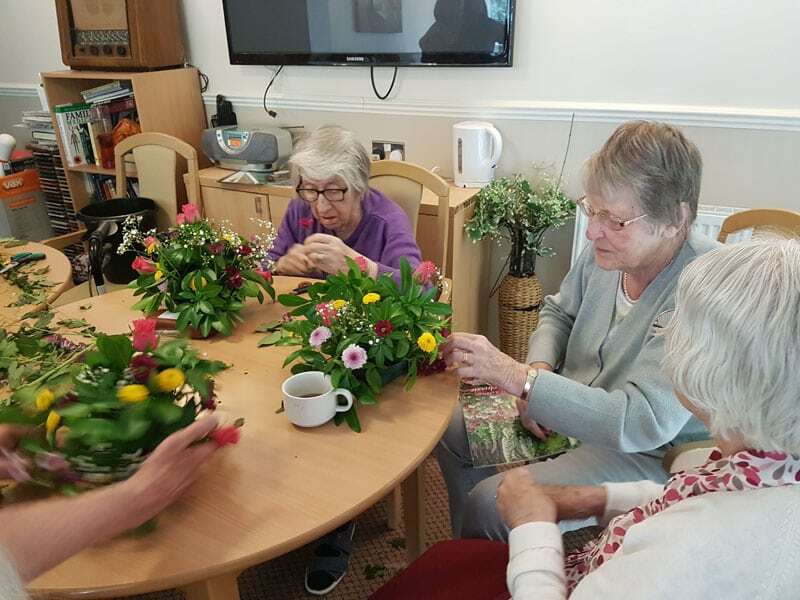 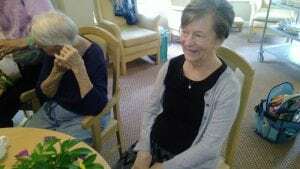 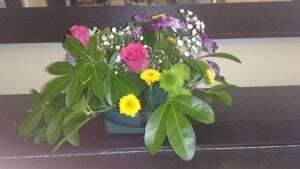 We had refreshments and reminisced about past experiences with gardening and flower arranging, also the memory of our mothers’ doing church flower arranging.